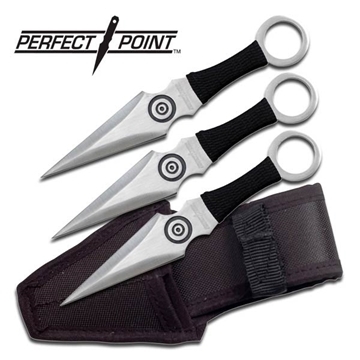 Well known for its wide variety and well balanced throwers, Perfect Point offers something for everyone who is interested in the sport of throwing. 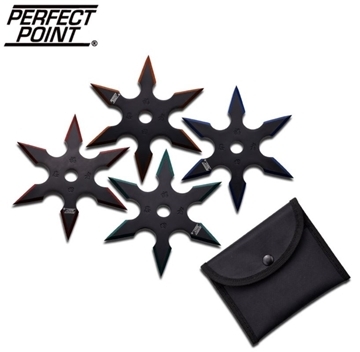 Be sure to pick up one of our target boards and sharpen your skills with any one of the beautiful Perfect Point throwing knives or throwing stars. 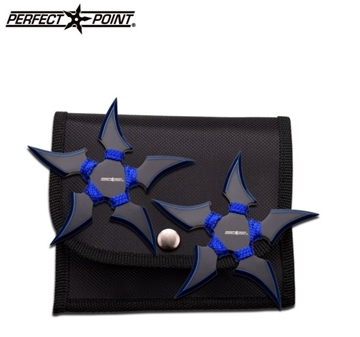 Introducing the latest in ninja star fashion: colored grind lines! 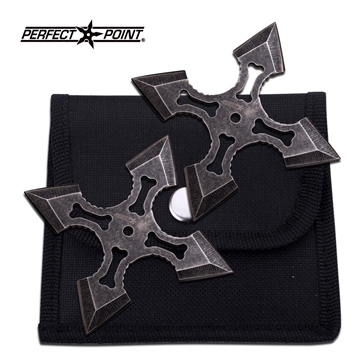 You'll love this very sharp shuriken set from Perfect Point. Who let the dogs out? You can bet they'll bite! 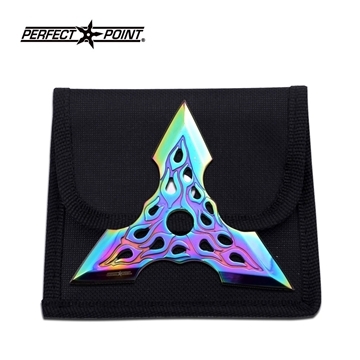 Introducing the latest in ninja star fashion: colored grind lines! 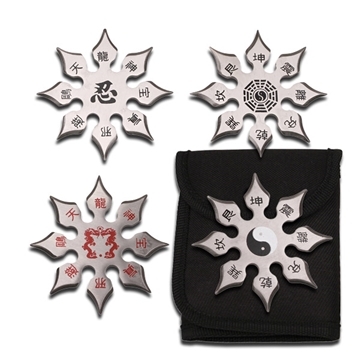 You certainly can't go wrong with red grind lines on this very sharp shuriken from Perfect Point. Named for Iris, the Goddess of Rainbows, these five-pointed talon ninja stars wrapped with blue cord from Perfect Point will have you praying for mercy. 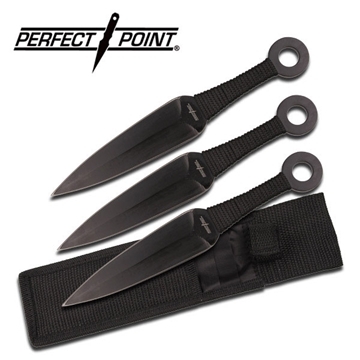 These will have you perfecting your technique if only to avoid hunting them down in the woods! Great balance and cool design! 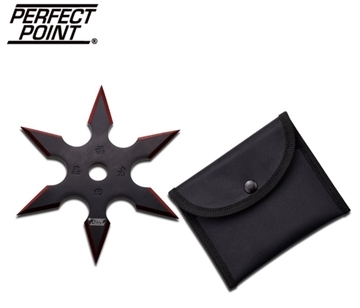 This beautiful three-pointed star from Perfect Point is sure to fire you up! 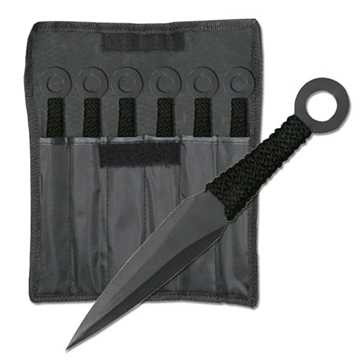 This is the all new Naruto Metal Kunai Knife Set! 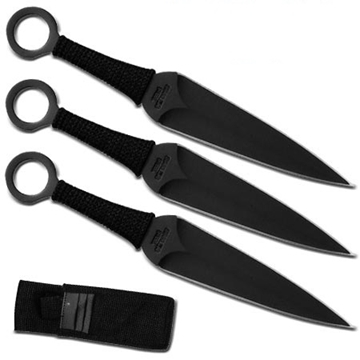 This black kunai throwing knife set features three sharp stainless steel knives measuring 9" in length. 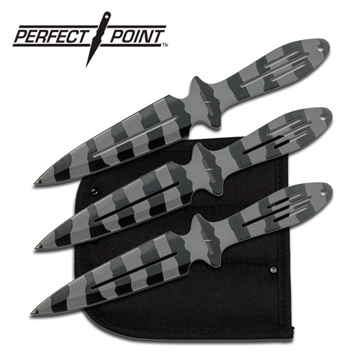 Set comes complete with nylon pouch. 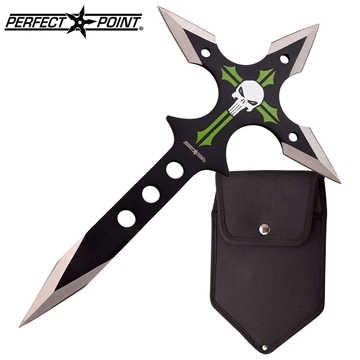 Whether you're into symbolism or just like a sharp pointy thrower, this throwing cross is for you!